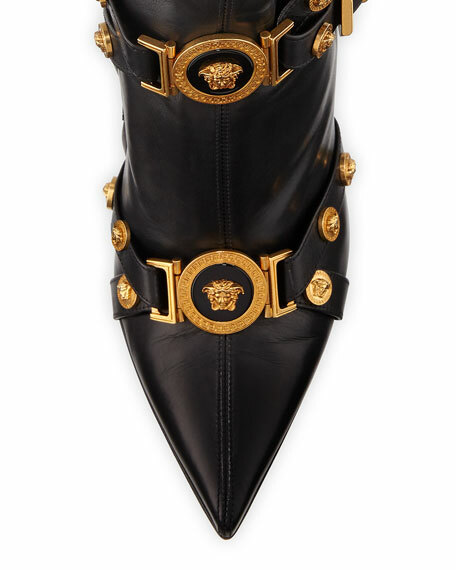 Versace Collection leather bootie with golden medallion studs. Multiple buckle straps at vamp. For in-store inquiries, use sku #2514696.